Victoria, Mahe (Seychelles) – December 31, 2017 (travelindex.com) – As we say goodbye to 2017 and welcome in 2018, it is important to reflect upon what we have experienced during the past twelve months to better appreciate what is in store for us in 2018. I start by considering the article titled ‘That Time of the Year’ by John Couris, the President and CEO of Tampa General Hospital in Florida, wherein he stated, “With 2017 coming to a close and 2018 just around the corner, it’s the perfect time to talk about setting professional leadership goals. As with anything, having a road map to guide you makes your route clearer. So, think about goal setting as a way to map out – in broad strokes – your path for the year ahead”. Seychelles and the Seychellois People as a whole are testing new waters and swimming against currents never experienced before. Seychellois need a road map to guide everyone and to illuminate the path ahead. As we celebrate the arrival of the new year, most will undoubtedly be making their resolutions for 2018; a worthy resolution would be for Seychellois to remain united as one. We owe this to Seychelles. Let us undertake to treat others with utmost respect, and to entertain differing religious beliefs or political ideals with tolerance. This is the way to make our island home safer, more sustainable, and more prosperous for future generations to come. A year ago, on the 27th December 2016, I resigned from my position as Minister of Tourism, Civil Aviation, Ports and Marine of the Seychelles, following a meeting with President Danny Faure at State House. This was done on the mutual understanding that I would become the Seychelles candidate for the post of Secretary General of the World Tourism Organisation (UNWTO). The abrupt withdrawal of my candidature by the Government, but a couple of days before the elections in Madrid, lost Seychelles, a country overly dependant on its tourism industry, the invaluable chance to lead this prestigious United Nations Body. The decision also condemned Africa to lose its first chance of sitting in the highest tourism office of the world. What a loss for Seychelles and for Africa this was. 2017 has ended with many alarming announcements of decisions and actions taken in the name of the people of Seychelles. The cost of electricity is going up immediately, and a further revision is expected to again hike the price in March for both the public and the commercial sector. The Seychelles Public Transport Corporation (SPTC) is also increasing its fares over and above the many other increases that were announced in the Budget 2018 presentation that was duly approved by the National Assembly of the People. More alarming still is the announcement by Etihad Airlines that the 40% shares they own in Air Seychelles have now been transferred to an Etihad Holding Company. At face value, it seems that it is but an innocent company share transfer, but in reality, when all the dust has settled, we will realise that Air Seychelles was previously part of a major Airline, but now it is just a mere investment by its holding company. This announcement came just after an alleged lone call in the Seychelles National Assembly for Etihad Airlines to pack its bag and get out. A further announcement swiftly followed regarding the looming redundancy of staff at Air Seychelles. Many Seychellois families will suffer when the redundancies start in earnest, and its impact on tourism will be felt for years to come. Many have been commenting on the Seychelles Airline’s recent announcement that they will be taking to the skies in 2018. It is recalled that prominent politicians are involved in this private venture. In our economic climate, would it not be wiser to merge efforts and resources to establish a single airline for the country where those with means are invited to participate in the consolidation of the country’s airline? The image of the country in the global arena is more vulnerable than ever. Domestic issues continue to impact the idyllic dream paradise we all say we offer. We have received a report of a young unsuspecting German tourist who booked an available bedroom in somebody’s private home, and soon felt compelled to call a tourism establishment owner to come pick her up because she was frightened for her security. I consider her case in more depth in a separate article below. 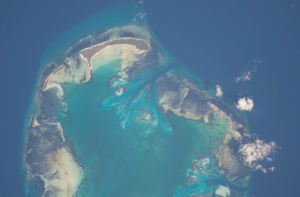 On a more positive note, Cosmoledo Atoll of Seychelles has been featured by NASA in their top 17 photos for the 2017. This is an amazing feat for Seychelles, and one that shows that the beauty of this island Nation is well worth protecting; Its flora and fauna, its wide ocean, which is now the centre of the Blue Economy, its culture, and its entire population of only 93000 living and working in the country. Seychelles during the second half of the month of December joined the grouping of the Vanilla Islands to celebrate the Liberté Métisse Festival of Reunion Island. The world of events continue to be used around the globe as a vector to consolidate culture and, in so doing, to also promote tourism as an industry. All the islands of the Indian Ocean have used their Vanilla Islands Organisation to push their cultural events in order to attract press and increase the visibility of the destination.